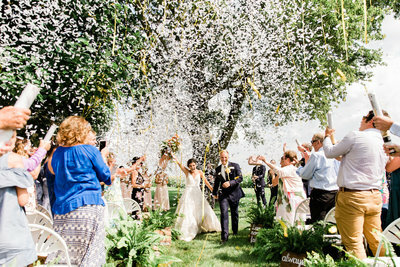 This Pretty Prairie Farm wedding was a dream! Not only did I have the opportunity to photograph at a venue I’d been hoping to shoot at, I got to photograph one of the sweetest couples around! From the moment I met Grace and Zach together, I knew they had something special. A faith-based love and the ability to be one hundred percent themselves. They compliment each other so well and have a way of putting each other at ease. It was such an honor to get to know them as well as their families who helped make their big day so special. Grace is so sweet, she has a smile and a way about her that brightens every room. Zach is a goofball who whole-heartedly cares for those around him. These two definitely have a way of bringing people together and it was certainly a celebration to be remembered! Susan, Grace’s mother, an interior-designer by trade, thought of every detail to make this wedding their own. From displaying family photos and family artwork around the barn to displaying their grandmother’s wedding gown on a mannequin. The greenery, tables, chairs and stunning Madison House Design florals made for the perfect Pretty Prairie Farm look. I’m so excited for you, Grace and Zach! I can’t wait to see what’s in store for you next on your journey as husband and wife!! 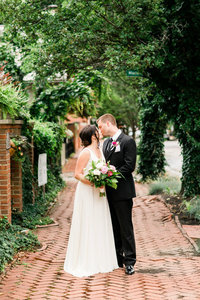 We’re so honored to have captured your wedding day! I’m so excited for you to see all the photos, but for now, here are just a few of my many favorites!